Vishal is a Partner at Recalibrate and currently holds responsibility for managing & expanding business partnerships in India and the MEA region. He is a seasoned business development and consulting professional with 16 years of experience across varied industries. He has spent the last 4 years in Human Capital Transformation, working on varied projects in the talent development space. He has been instrumental in creating and implementing strategic plans and has driven key sales projects successfully. 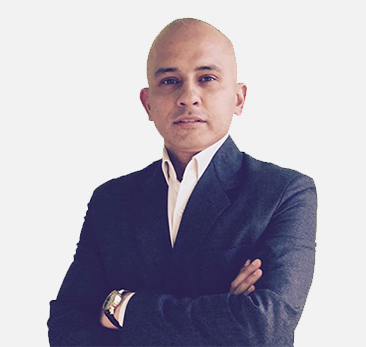 Throughout his 16 years of business experience, he has served different market segments ranging from small and medium businesses to large MNC’s. His expertise spans across recruiting & developing sales teams, hunting & farming businesses and garnering high productivity from teams using coaching skills. Vishal is a people person and develops relationships quickly across levels. He has strong stakeholder management skills, understands the big picture and relates very well to an organization’s strategy and execution plans. He is a firm believer that persistence and patience is the key to success, irrespective of the domain or function one is operating in. He considers that being authentic catalyses the process and generates vibrations which build an individual’s aura. His philosophy on creating high performing teams is based on the premise of empowerment based on trust and support pivoting on coaching. Vishal likes spending time with his family & two children. He is an avid reader who believes in continuous learning and is very receptive to change. Vishal has developed expertise in Talent Management, People Analytics, Competency Frameworks, Psychometric Assessments and Consulting Frameworks.